Burj Al-Luqluq Board Members; NAser Gaith, Mousa Hijazi and Burj Executive Manager, Muntaser Edkaidek received the delegation and showed them the center as they started from the basketball field and played with the girls and took memorial photos with them. 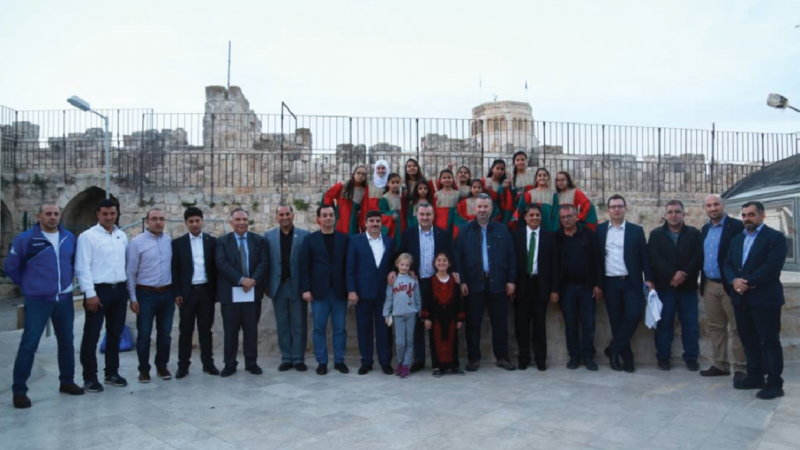 Afterwards, the Minister joined the football training and played with the team before heading to AL-Manarah were the delegation had traditional Palestinian food and learned about Burj Al-Luqluq activities and services. The visited ended with visiting Burj Al-Luqluq tent with the presence of Taekwondo players and their trainer Ibrahim Judeh and they took memorial photos together.